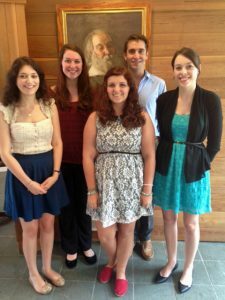 Intern will work with the Executive Director and the Media Director in the office of our modern Interpretive Center at the Walt Whitman Birthplace State Historic Site in Huntington, Long Island, NY. Intern would assist Media Director in website maintenance – updates, entries, new information. If Intern has knowledge of Facebook and other social media tools for promotion, he/she will be asked to instruct the office in the use of social media and contribute to its content. Intern will work Monday, Wednesday or Thursday, 9 AM – 5 PM. Intern will receive supervision from the Executive Director and Media Director on a daily basis. Association will have a re-designed / up to date website which will assist in our mission to promote Walt Whitman’s legacy, will establish a stronger social media presence and organization recognition, will further our ability to promote events, and will enable our fundraising endeavors. Intern will have the unique opportunity to learn how to organize a website for a notable historic and literary site. Intern will learn the many facets of a small non-profit and integrate them into a website that reflects both its mission. Intern will have the privilege of the title of Website Assistant which may be used in a resume or portfolio.